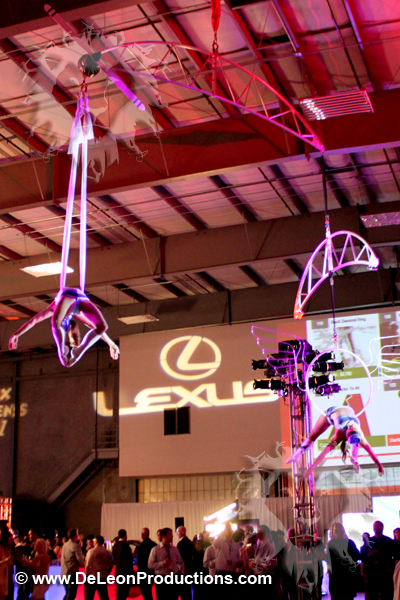 De Leon Productions debuted their “Aerial Mobile” hanging from the 35′ high ceiling of the Scottsdale AirCenter for the Lexus and Jetset Magazine-sponsored Suitcase Party. 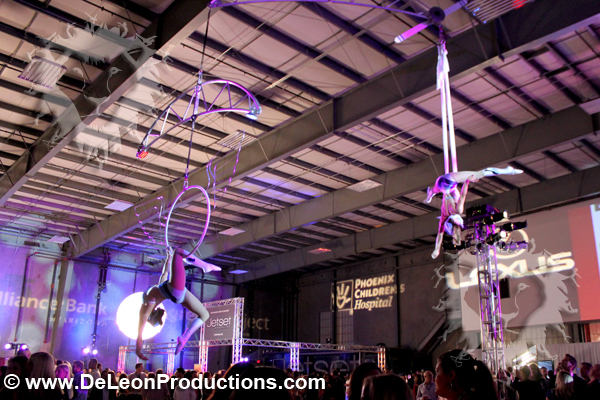 Two beautiful aerialists soared above the guests at the Suitcase Party fundraiser to support the Phoenix Children’s Hospital on our Aviation-themed Aerial Mobile. Want something fun and unique for your event? 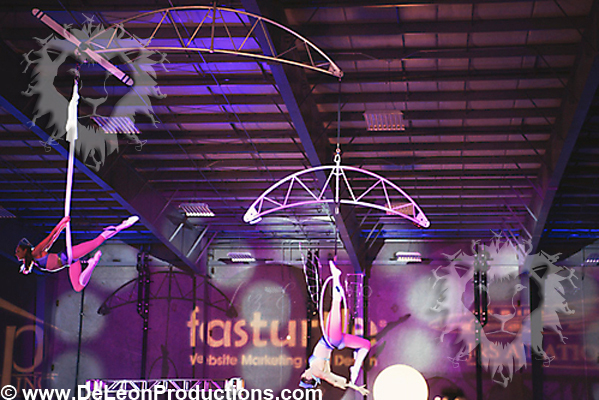 Consider the Aerial Mobile with multiple aerialists and a fun twist on aerial performance! Plus it can be customized to fit your needs.